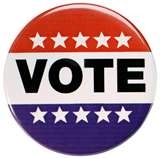 Advance voting in Seward County is now open for all registered voters in the county. This is a primary, so voters must vote in the party as to which they are registered. Advance voting will take place in the Seward County Clerks office inside the Seward County Administration Building. Polls will remain open until 5:00pm Monday thru Friday wuth Advance Voting ending at noon on August the 2nd.